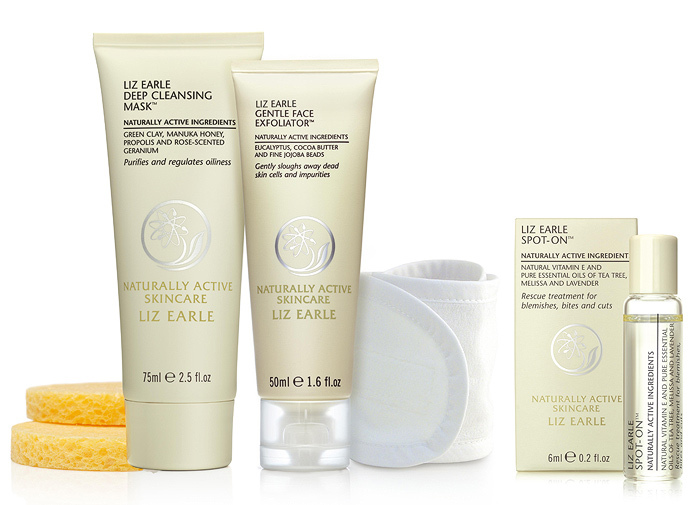 The Clear Skin Kit contains a 50ml Gentle Face Exfoliator, a 75ml Deep Cleansing Mask, a 6ml Spot-On treatment, 2 x sponges, and a white headband. The kit is available from 14th February to 23rd May 2011 for only £20.65 which is a saving of £12.50 on normal prices. The three products included in the kit are designed to be used as a 3-step plan to help exfoliate, rebalance and treat blemish-prone skin. To avoid seasonal breakouts omega-3 is essential for making the body less inflammatory, so as well as eating oily fish, consider a supplement of fish oils. Liz Earle recommends taking a probiotic supplement to help normalise the balance of gut bacteria, as two thirds of the body’s immune receptor cells are found in the gut. With the right diet and skincare great skin is within everyone’s reach this spring. Do you pay attention to feeding your skin from the inside out? I’m very tempted by that, but I think I should start simple with the Cleanse & Polish, which I STILL haven’t bought! I’m useless at feeding my skin with healthy food and water- my kids’ diet is 100 times better than mine, typical mum! I have to say I’m not a fan of these products from Ms Earle, I am a long time lover of C&P and have dabbled in almost all her other products but 2 out of 3 of these are real duds. The exfoliator is nice – very gentle but overpriced IMO (REN is much cheaper per oz). The spot treatment is useless – really smelly and did nothing for my blemishes, I think it’s more for insect bites TBH. The mask is the worse of the 3 – incredibly smelly, weird consistency, likes to squirt everywhere when you’re trying to get something out, irratates my skin and don’t even get me started on the sponges you’re meant to use to remove it with! Sorry for the rant but the spot on and mask I was severely disappointed with. I’ve always been skeptical about fish oil. I have some capsules, but, well, you can’t really know that they’re actually doing anything. Right. Next time I’ll be checking on here before I buy 2 of this offer!